It is a lovely summer evening, the sort that makes you feel like if you're not enjoying a nice crisp beer you are probably Doing It Wrong, and therefore I am enjoying a nice crisp beer (Magic Hat #9, if you care, which I for one have been taught to do by my mustached beer-snob boyfriend, who takes these things Seriously) and writing this review in the hopes of shooing away a few shades of blue that seem to have settled in for the weekend with all the tenacity of a bad hangover. Why am I blue? I don't know, maybe because I'm moving away from the parenthetically-mentioned and very wonderful boyfriend in three weeks - admittedly to go home to the San Francisco Bay Area, which is wonderful, especially after six bloody years in Massachusetts, but I really don't like that whole part about leaving when it comes to my beloved - and also maybe because I have just reached that point on the second draft of my novel where I'm thinking, oh, f!#&, this thing is a huge f!#&ing mess, and generally speaking I'm feeling a little weepy and despondent and inclined to heaving deep anxious sighs. This is not, again, generally speaking, my style. So I'm going to try and write my way out of my gloom. Because what the hell good is a blog about a museum of joy if I can't use it to lift my own flagging spirits? NO GOOD AT ALL, that's what. How am I supposed to instill joy and wonderment in all of y'all if I can't do it for my own damn self? CAN'T DO IT NOHOW. Also, Father's Day is this weekend, and it just so happens that my dearly beloved father is the one who introduced me to both of the fabulous books in the swell two-for-one deal you're getting today. (In fact, he introduced me to last week's book, and the one before that, and the one before that too, although not the one before that one, even though it's pretty much his style too and I'm surprised I found it by myself) The reason you get so many of his picks is that THEY ARE ALL THE AWESOME and also there's a pretty fair chance that you haven't had them recommended to you already, because they are fabulously cool in a hip, kinda obscure way. Oo, that reminds me, I totally have a hipster lightbulb joke for you! Q. How many hipsters does it take to change a lightbulb? A. (weary sigh) It's a really obscure number. You probably haven't heard of it. Do you get it? Oh god, you don't get it. Quick, onto the questions! 1. Who the f!#& wrote these books? 2. What the f!#& are they about? 3. Where the f!#& should I read these books? 4. When the f!#& are they set? 5. Why the f!#& should I read them? with the book, but I like it. 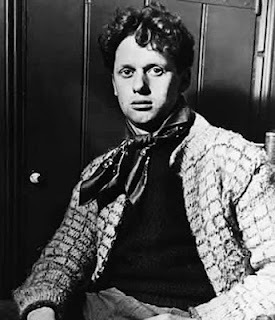 Adventures in the Skin Trade is Dylan Thomas' unfinished novel, and if all you know about Dylan Thomas is that poem you had to read in high school (was it "Do not go gently into that good night"? It was for me!) or whatever, or if you persistently get him mixed up with, I don't know, RS Thomas or Thomas Hardy or lord knows who else like I did for years, well, you'll remember him after this one. The twenty short stories included in this volume are pretty good, but it's the novel that's really important. You don't have to get this edition, I just like the cover because it's the one my dad had. There's some other good ones. Pretty sure this one's out of print? Ha. Suckas. 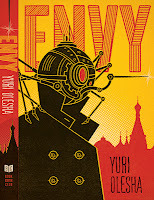 The real reason I'm recommending Yuri Olesha to you is not the novel at all but the short story "Love" that appears in this collection. 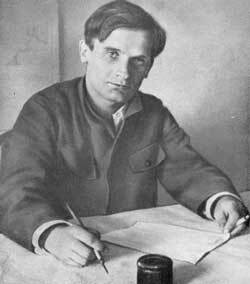 (The novel's swell, if you like anything Soviet you'll like it, if you even vaguely enjoy Gogol or Dostoyevsky or Kundera for goodness sakes you'll think it's fun and absurdist, that isn't the point.) "Love" is my favorite short story of all time. It's about what it sounds like. Really. 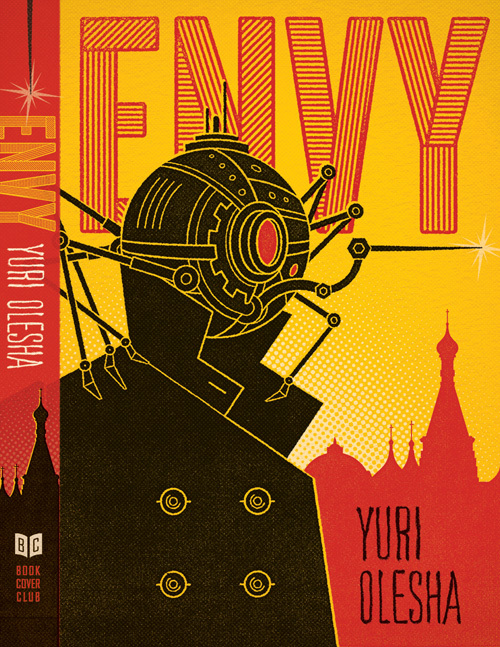 Olesha's books are kind of cool for their special trait of being ostensibly pro-Soviet while actually really kinda being anti-Soviet in a delicate, subtle way; no idea why it is that the nuances of this escaped the censors, unless being a censor basically precludes understanding nuance? Anyway, it's kind of a fascinating balancing act in all his books, and I'm always a fan of layered meaning precisely because there's usually so bloody little of it. Especially these days. (Says the girl who hasn't hit her third decade, but I'm still right.) Adventures in the Skin Trade (yes, there will be a connection, HOLD ON A SECOND, geez) is about a boy leaving home to seek his fortune in London. Superficially they have nothing whatsoever in common, other than a young man as a main character and the same omniscient narration with single-character point of view (which you totally learned about if you read last week's book!) - not to mention one is a short story and one is an unfinished novel. Here's what they do have in common: an unique and glorious playfulness of language. The premise that the ordinary is full of mystery and possibility. A voice, that thing writers spend their lives chasing, usually fruitlessly -- and a not wholly dissimilar voice, despite the fact of one writer having been a propagandist for the Red Army and the other an Anglicized Welsh alcoholic. (Olesha was only 15 years older than Thomas, as it happens, but Thomas died first.) Also, they share something very important: an ending that will leave you VERY SAD that there ISN'T MORE. Honestly, I don't really know why I have this question. I just needed a Where for my Who What Where When Why and "Where the f!#& is it set?" seems like a stupid English-teacher-y question dressed up with some edited profanity. I dunno, they're probably good for trains, but not trashy enough for a plane? In bed? They're both great read-aloud choices. Around a cozy fire in winter? Dammit, that's six months away. At your lake house, assuming you are one of those lucky people who has a lake house and somehow still reads my blog? Both books are set contemporaneously (yeah, you like that big word?) to the time of their writing, I believe, although I've forgotten all my Soviet history so there may be some indications of a specific time period I just plain missed out of sheer laziness and ignorance. And here's Dylan Thomas! Hey, they kinda look alike. Weird! Am I a genius or what? Via DarkAngel. You should read them because they are dry, funny, and beautiful. And also because they contributed more to the writing of my novel than maybe any other books there are. Lest I sound either horribly self-promotional or hideously pretentious, let me hasten to explain:as I mentioned above, both Olesha's writing and Skin Trade (less so, I think, the other stories) have this remarkable thing, this voice. They say, I have thought about how this will ring inside your ear. I mean, Olesha didn't write in English, but MacAndrew's translation is a thing of beauty; the language sings. The images are so fresh that their feathers are still wet. Very ordinary things happen: a man waits for his lover in a park, catches a wasp that flies in the window; a man accidentally gets a bottle stuck on the end of his finger in a bar, gets shut in a bathroom with a girl who wants to kiss him. All that stuff about high conflict, oh no, none of that here. But it's also not writing about the ordinary, not writing about the couple next door trying to work out their marriage or the nice secretary just trying to figure out how to meet a guy who's not a shmuck. No, both the short story and the unfinished novel are about the ordinary world seen through bottlegreen spectacles of wavy glass, lenses through which not exactly anything might happen, but something might. It's not magical realism; a wasp doesn't really become a tiger. But for a moment the wasp might be perceived as a tiger, and in that moment of perception, things become a little warped, a little more wildly real, I might say. Adventure doesn't show up as something extraordinary, but something, some fluttering and iridescent life, inside the ordinary. And that's why I've put them side by side. I don't know any other pieces of writing quite like this, quiet and sedate and immensely alive all at the same time. I went back and forth - would I write about one or the other? And I realized I had precisely the same things to say. Reading these two books, more than any other thing no matter how clever or beloved, well, it's taught me what kind of prose I want to write - not flowery, not magical, not extravagantly worded, but written with the thoughtfulness of poetry and the honesty you can only get in fiction. Shuvalov, the protagonist of "Love," and Samuel Bennet, the protagonist of Adventures in the Skin Trade, are both completely ordinary young men slightly hopelessly battling the forces of mystery that drive emotion. I mean, you know, just like the rest of us. It's the combination of the voice, the total linguistic distinctiveness of the writing, with that wonderful bright honesty about what it means to be human in this bewildering and beautiful world - as a writer, as a reader, that's all I want. And that's why you should f!#&ing read it. Because there's something to be learned about wonder, and the strange revelation of being alive. Say, I feel much better now! And the boyfriend has arrived to take me out for margaritas, so I feel much better. See, books, bringers of joy. If just thinking about them makes me this happy, just think how much you'll enjoy READING them. Well, I have no real comment about the books, this time, but I do want to say that I discovered no books at all through either of my parents. I'm pretty sure my father has never read an entire book in his life (I am sure that my brother has not), and my mom doesn't read anything good. Meaning, most of what she reads (or at least use to read when I was younger) is trashy romance novels she would get from my relatives. So where DID you get your voracious appetite for books? Inquiring minds want to know! I don't have a good answer to that question. I was always like this; that's all I know. Fascinating. I'm like this because my parents DROWNED me in books. So I love hearing stories about people who magically found a love of books without bookish parents to throw them into the literary deep end. Looking back, I would have preferred having someone older around me that read. I spent a lot of years reading what amounts to crap, because I didn't have any around to say "why don't you try this instead?" Don't knock crap TOO hard. Sometimes reading crap leads to writing brilliance. Look at Stephen King! Well, yeah, okay, but when I look back at some of the books I read, especially when I was in high school, books I barely enjoyed, I feel like I wasted a lot of time that I could have spent reading better quality books. If I'd discovered during high school some of the books I didn't discover until I was in college... well, I could have started a lot earlier on the good stuff is all I'm saying, I guess. Sure, I hear that. I dunno, I think I underappreciated a lot of the great books I read when I was younger, because I thought I was SO COOL for reading them it totally escaped me that I had no idea what they were actually about. I went back to them & it was like reading different books altogether. Well, that's always going to happen when you go back and read books after a number of years, because you're not the same person anymore. Still, to deal with that issue with my son, once he finishes a book, I ask him to tell me about it so that we can see what he got out of it. I think it helps his appreciation. Not that I'm telling him anything, but it makes him think about the book and discern what's he's read. He's incredibly perceptive for his age. And I wish I'd had that, but at least I can do it for him. Sorry you are moving away from your boyfriend. :( I would be down, as well. The books sound interesting! 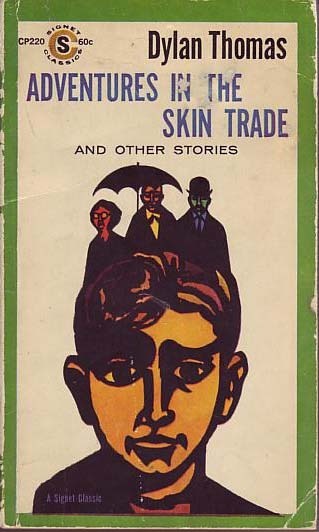 I thought the Skin Trade one was going to be about something entirely different. Thanks for passing these along! Haha, I'm with you on Skin Trade - it certainly doesn't sound like what it is. William Goldman, the screenwriter who Wrote Princess Bride and Butch Cassidy & The Sundance Kid, has an amazing book about his experiences called Adventures in the Screen Trade...which is pretty clever actually. One of your best so far! Sublime! Can't wait to publish this on mine... well done! Thanks, Patrick. Honestly, it feels kinda drafty to me - I make all these sweeping claims and then provide no evidence whatsoever to back them up. (Years of close analytical readings make me suspicious of any theory that has no quotes in it...even my own.) I hope someone reads them both and then comes back and has a huge argument with me over the comparative analysis. That would be AWESOME. I agree with Andrew Leon. Sometimes there is no explanation. Ah, mystery! I do love me some mystery, especially when it concerns SPONTANEOUS AWESOMENESS.